Cleanse, activate, and vitalize your body’s primary energy centers with these effective chakra healing techniques. Chakras are wheels of energy that appear along the central meridian of your body’s vibrational field. 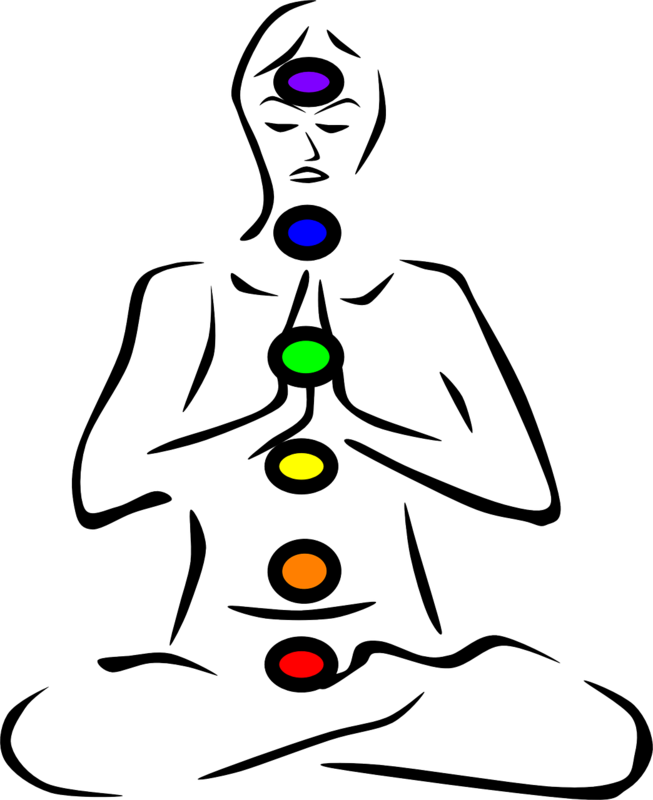 There are seven main chakras, and each corresponds with a color of the rainbow. The chakra system is a useful diagnostic tool. When chakra imbalances show up as physical feelings of tension or pain in the area where the chakra lies, it clues you in to what’s going on in your energy field. For example, repeated migraine headaches may be related to an imbalance in your third eye chakra, and chronic digestive issues may indicate a sacral chakra block. Once you know which chakra(s) can use healing, you can work on the energetic level to heal mind, body, and spirit. Here’s a quick overview of each energy center. You can skip ahead if you’re already familiar with these. Your root chakra resides at your tailbone area. It corresponds with the color red. When this chakra is balanced and activated, you feel safe, grounded, at home in your physical body, and secure in the knowledge that you are entitled to take up space in the earthly realm. Your sacral chakra resides at your lower belly, below your bellybutton. It corresponds with the color orange. When this chakra is balanced and activated, you feel sensually alive, emotionally fluid, and comfortable with your sexuality. Your solar plexus chakra resides at your upper belly, above your bellybutton. It corresponds with the color yellow. When this chakra is balanced and activated, you feel powerful: you know that you are completely empowered to manifest the life conditions you desire. Your heart chakra resides in the middle of your chest, at your emotional center. It corresponds with the color green. When this chakra is balanced and activated, you feel loving, loved, and lovable. Love flows freely from and to you. You feel emotion deeply, and may tear up easily (with sad or happy tears). Your throat chakra resides in the center of your neck area. It corresponds with the color blue. When this chakra is balanced and activated, your thoughts and emotions flow freely from you in the form of words and sounds, whether written, spoken, or sung. You feel comfortable speaking your truth clearly and with love. Your third eye chakra resides in the center of your forehead. It corresponds with the color indigo. When this chakra is balanced and activated, you perceive the subtle energetic reality that underlies all things. You are in touch with your intuition and your deep inner knowing. Your crown chakra resides at the top of your head. It corresponds with the colors white, lavender, and violet. When this chakra is balanced and activated, you feel inspired, and connected to All That Is. You know that you are much, much more than your finite human identity, in this tiny little corner of time and space. Whether you want to heal one, two, or all seven chakras, here are seven effective strategies to try. 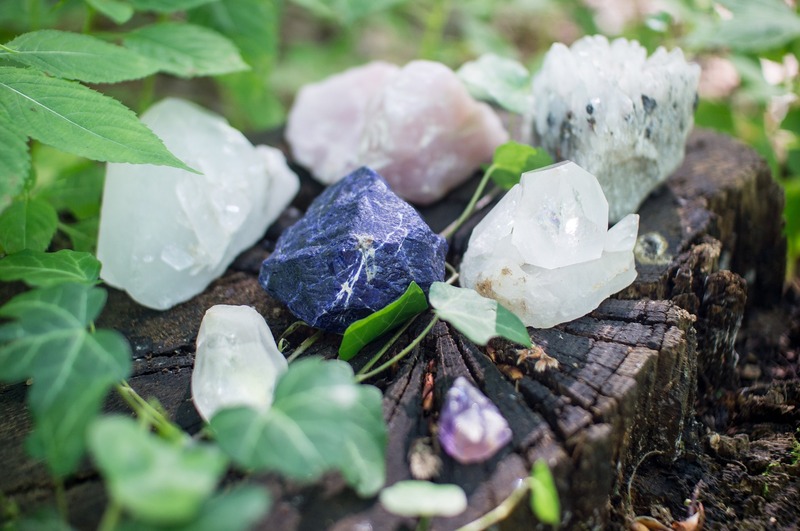 Crystals are excellent allies when it comes to shifting chakra imbalances. Like flower essences, they also work on the vibrational level to affect positive change. Below, you’ll find helpful crystals for each chakra. Once you obtain your chakra healing crystal or crystal jewelry, cleanse it by placing it in bright sunlight, running water, or sage smoke for 2-5 minutes. Then lie flat and place it on or near the chakra that could use healing. Relax, breathe, and allow your energy to shift. Aromatherapy can have an extremely healthful effect on our mind, body. Employing an oil burner or oil diffuser to diffuse one of the following essential oils can help bring about the desired chakra healing. Visualization is a way of channeling your mind’s power to create positive change. While breathing deeply, you can envision yourself cocooned in bright light. White light is perfectly balancing to all chakras, but you can also envision the light in the color of the chakra you want to heal. A guided chakra clearing visualization can also be helpful, especially when you do it on a regular basis. Soaking in warm water with added sea salt intensely detoxifies both the energy field and the physical body. To heal any chakra, and for an overall chakra tuneup and aura cleanse, dissolve a cup of sea salt in a warm bath. Light a white candle and soak for at least 20 minutes. Wafting the smoke from a burning bundle of dried white sage around your body provides an overall energy tuneup much more quickly than a bath. Simply light a bundle of dried white sage so that it’s smoking like incense. Making sure to catch any burning embers on a dish or a plate, move the sage bundle around your energy field so that you’re essentially bathing in the smoke. Then safely extinguish the sage by running it under water or sealing it in a mason jar. A selenite wand is an overall detoxifier and energy balancer, and (unlike white sage) it won’t set off any smoke alarms. Use it to brush your energy field about a foot or so from your physical body, paying special attention to any chakra areas you’re especially wanting to heal. Afterwards, cleanse your selenite wand by placing it in bright sunlight. Be sure not to run it under water, as it will dissolve over time. 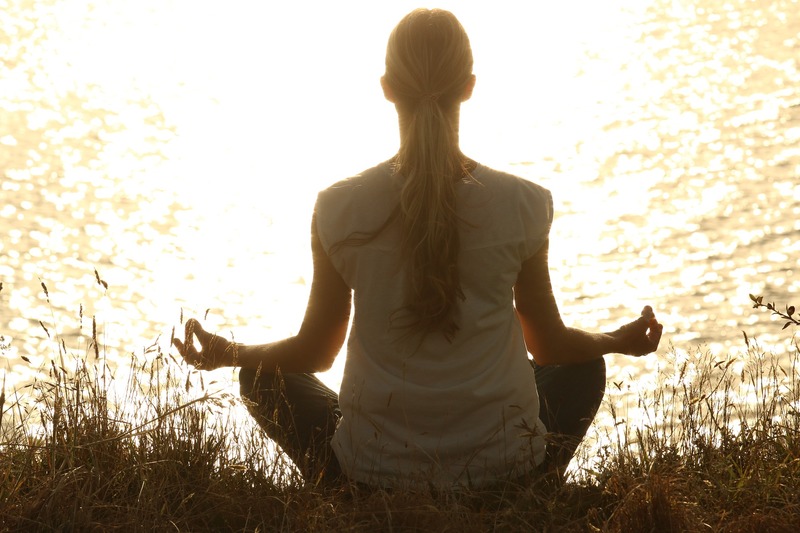 Attending to the health and wellness of your chakras is a way to take wonderful care of yourself every single day. 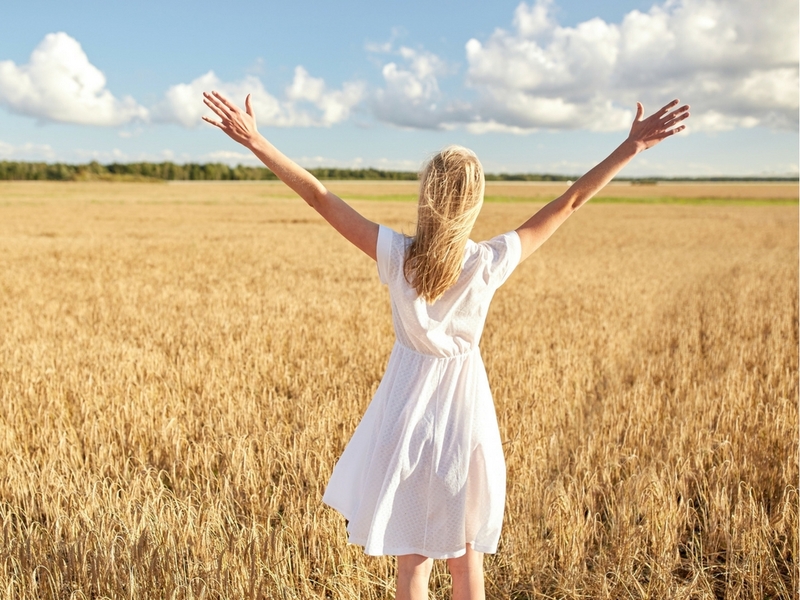 More than anyone else, you have the power to keep your personal energy clear, balanced, and vibrant. To learn lots more fun and effective ways to keep your chakras healthy and bright, check out my online workshop, Chakra Magic. Did you try any of these chakra healing techniques? What did you think? Please share in the comments below. Fantastic post Tess! Thank you so much, for sharing this detailed post on 7 ways to heal Chakra…It was very interesting and helpful. So glad you enjoyed! Thanks for reading and connecting. I am recently made aware of chakras. Thank you for the clarity you give! Joyce, so glad the post was helpful. Thanks for reading. Glad to hear! Thank you for reading and connecting.